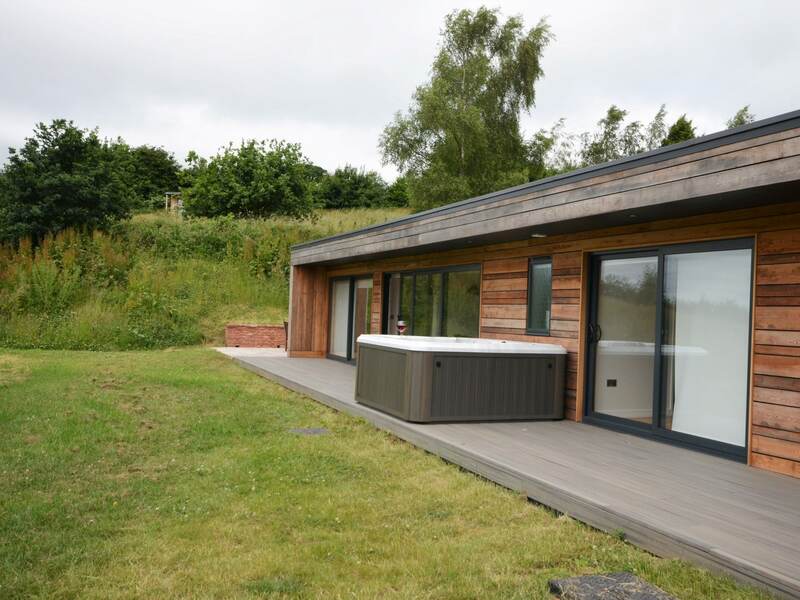 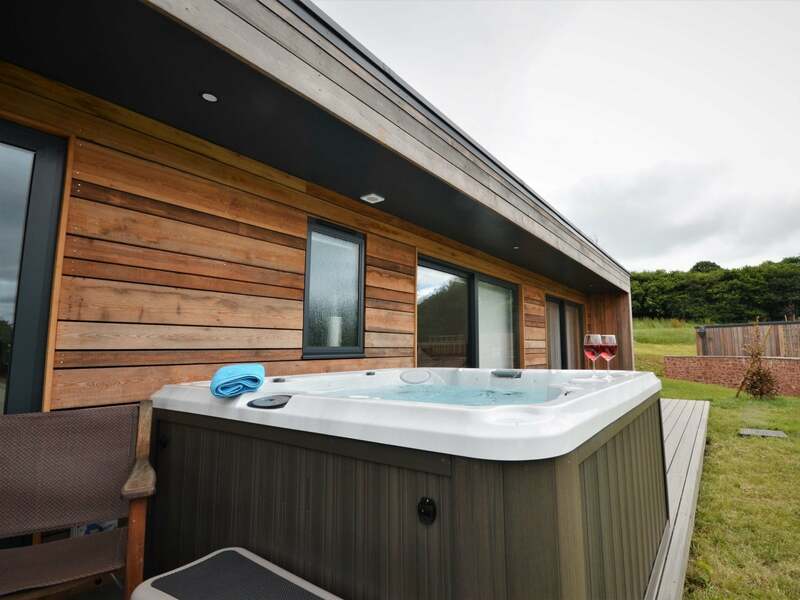 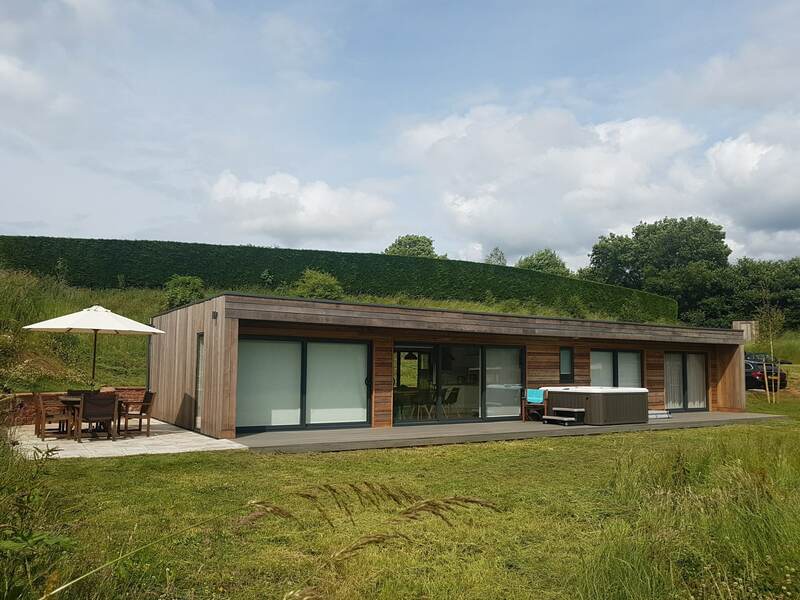 Situated in a peaceful and beautiful part of Mid Devon this superb lodge nestles in a shallow valley close to Tiverton. 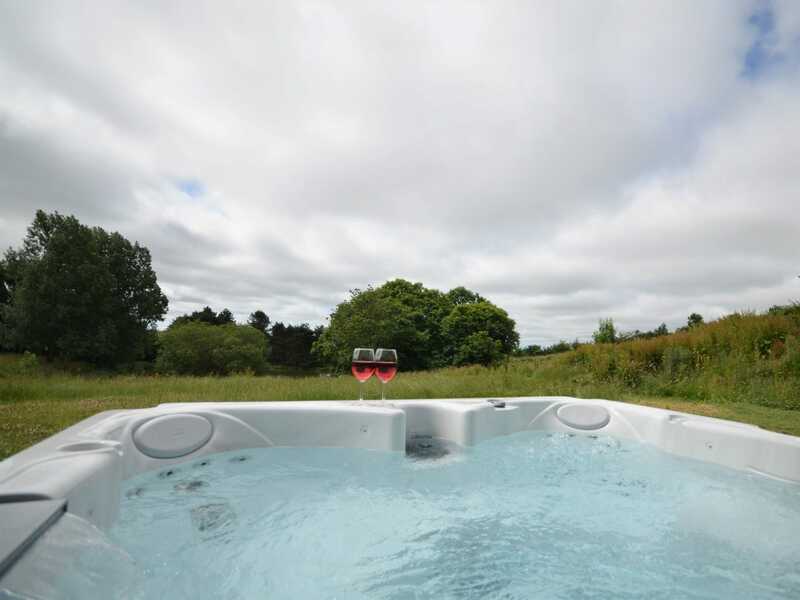 Perfectly placed and easily accessible they are great for weekend or mid-week getaway offering a hassle free and relaxing retreat. 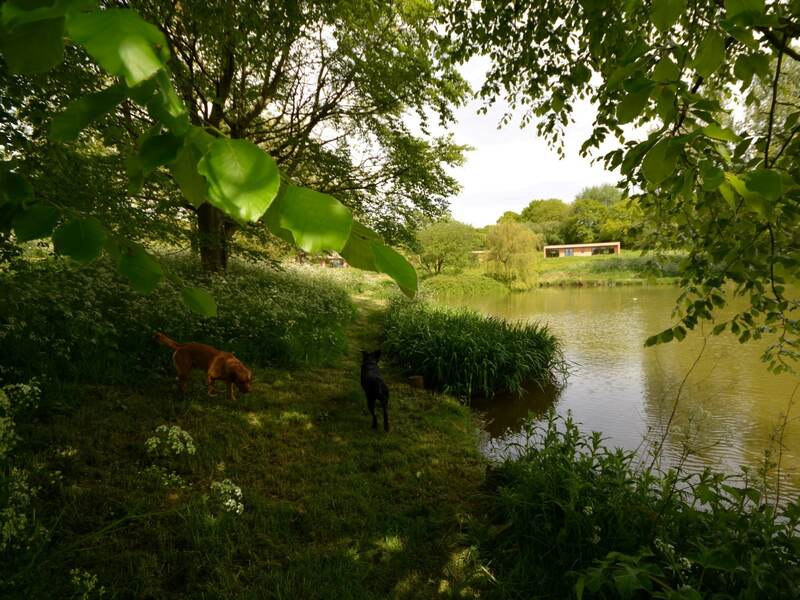 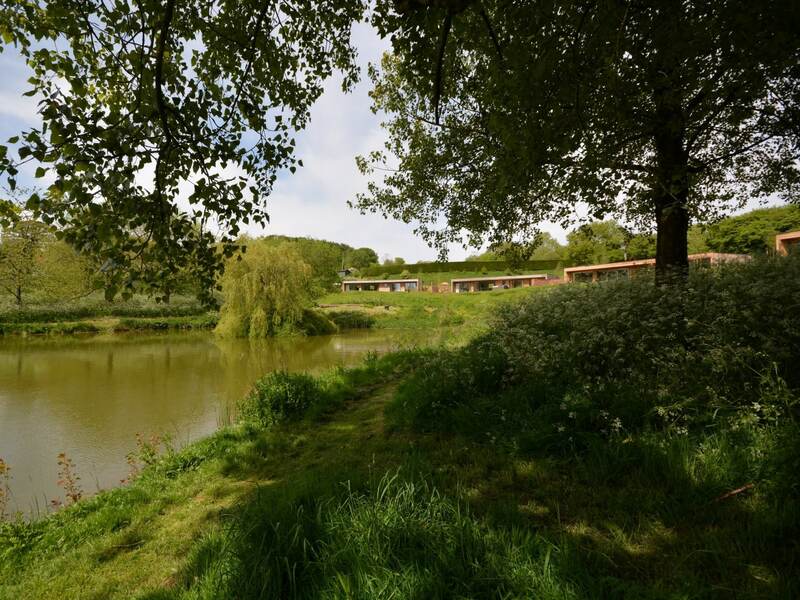 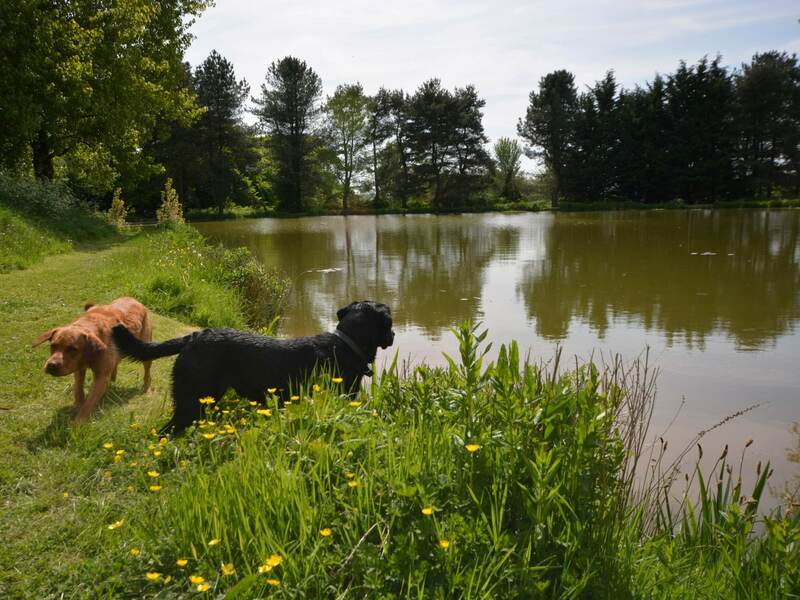 Bring the dogs partake in a touch of coarse fishing or just enjoy a slower pace of life. 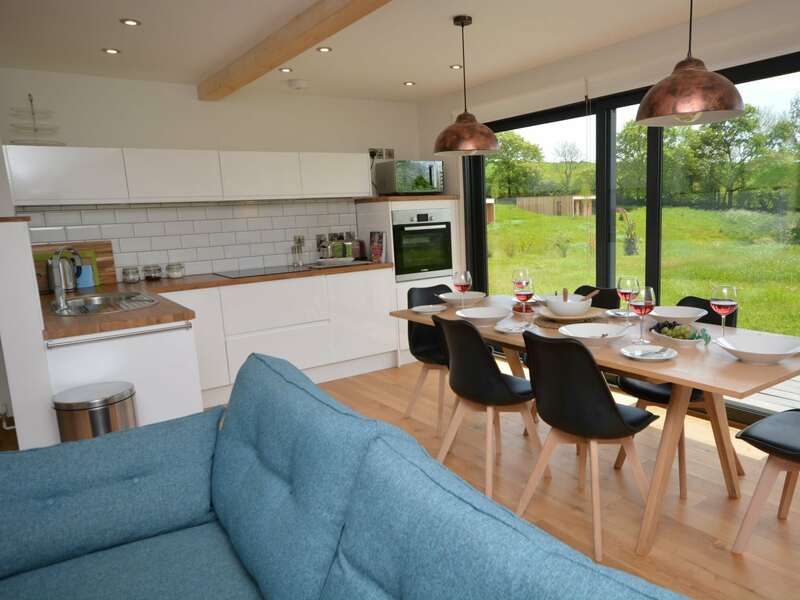 There is so much to see and do nearby Exeter is a short drive and here you can visit the stunning cathedral or just wander the variety of shops restaurants and amenities. 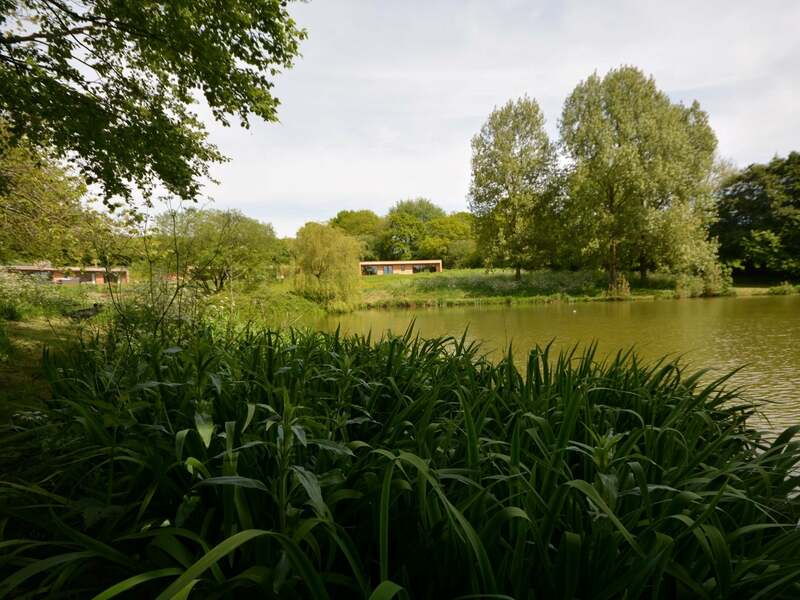 Closer to home the town of Tiverton boasts a pretty canal and from here you can hire a barge for the day. 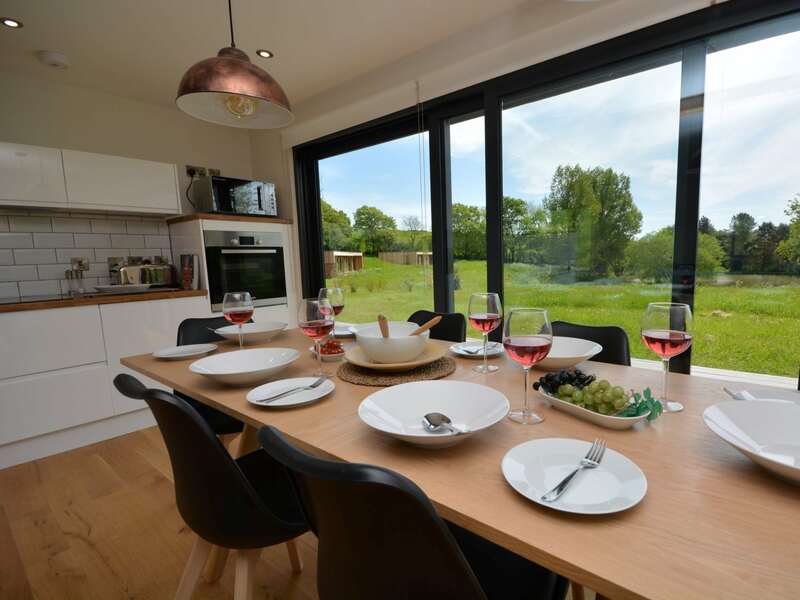 Walkers will also be in their element with the Blackdown Hills an Area of Outstanding Natural Beauty and both Exmoor and Dartmoor National Parks all within each reach. 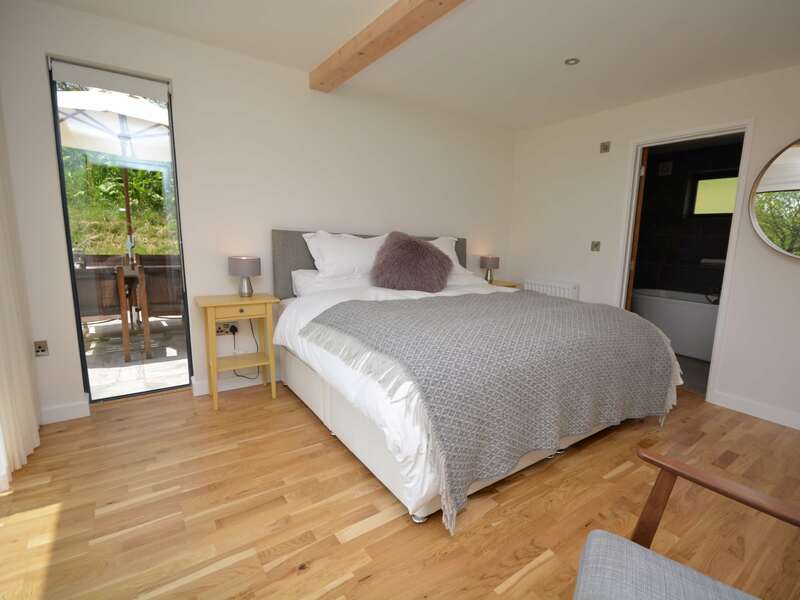 Beach lovers can explore the world-renowned Jurassic coastline including picturesque Lyme Regis and the pretty seaside resorts of Sidmouth and Branscombe. 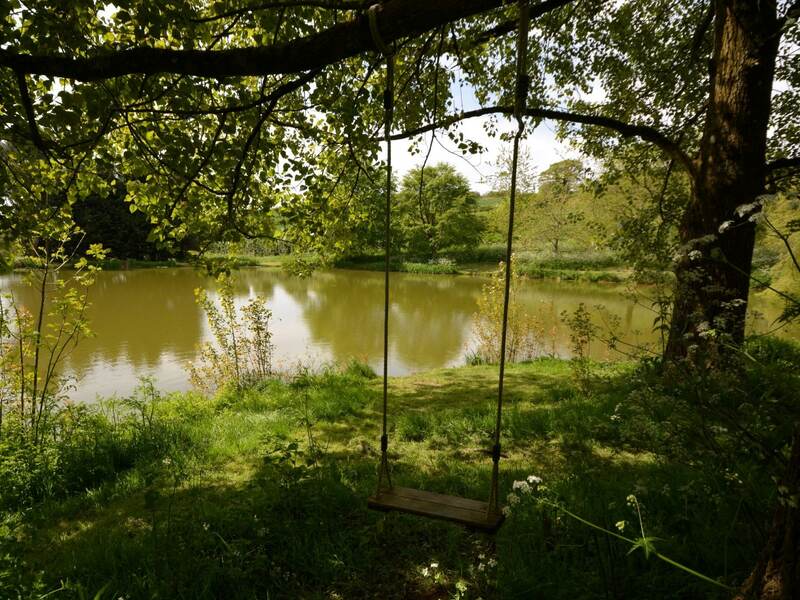 There are also many National Trust Properties in the area including the Killerton and Knightshayes. 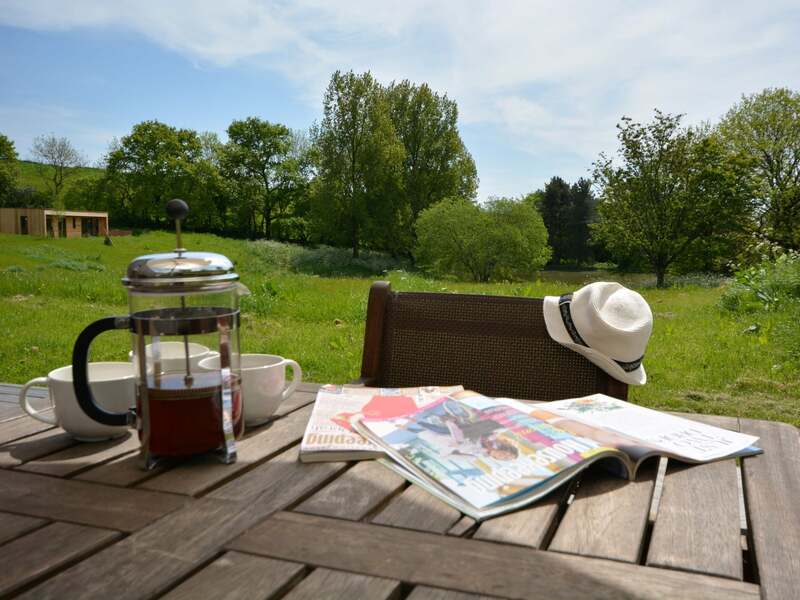 After a day s exploring sit back on the patio and just soak in the views bliss. 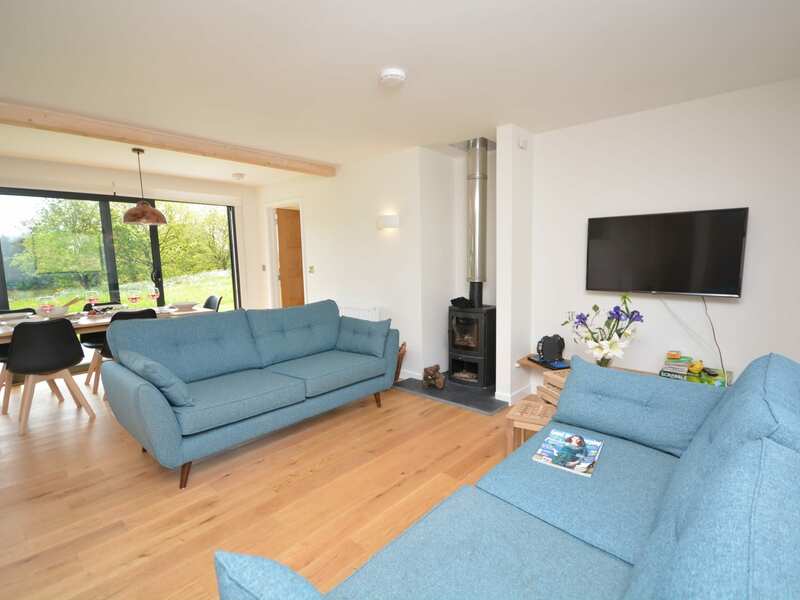 Stepping into the lodge you are immediately greeted by a bright and airy open plan lounge/kitchen/diner with stylish furnishings and elegant touches sky blue sofas a wood burner and TV allow for cosy evenings and the large dining table with floor to ceiling sliding doors allow for sunshine breakfasts and al fresco lunches. 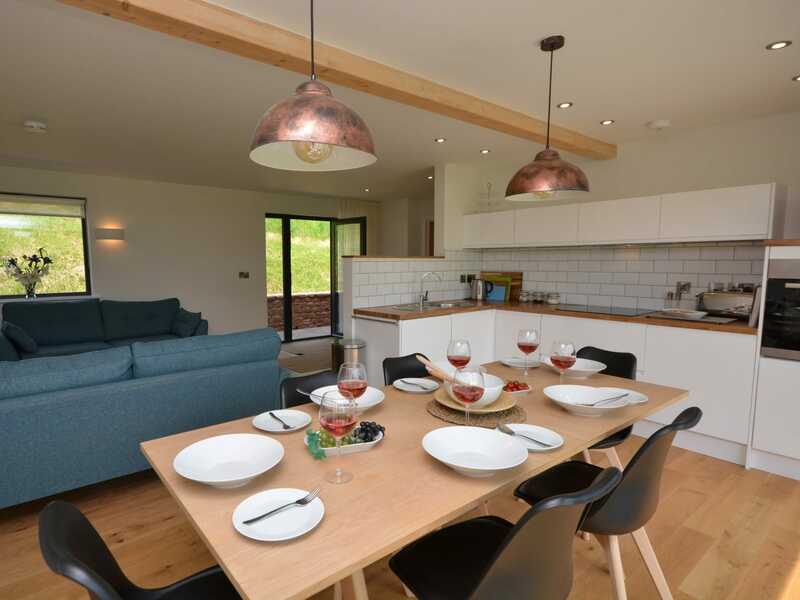 The well-equipped kitchen has everything you need including an electric oven and hob microwave fridge and freezer as well as a dishwasher. 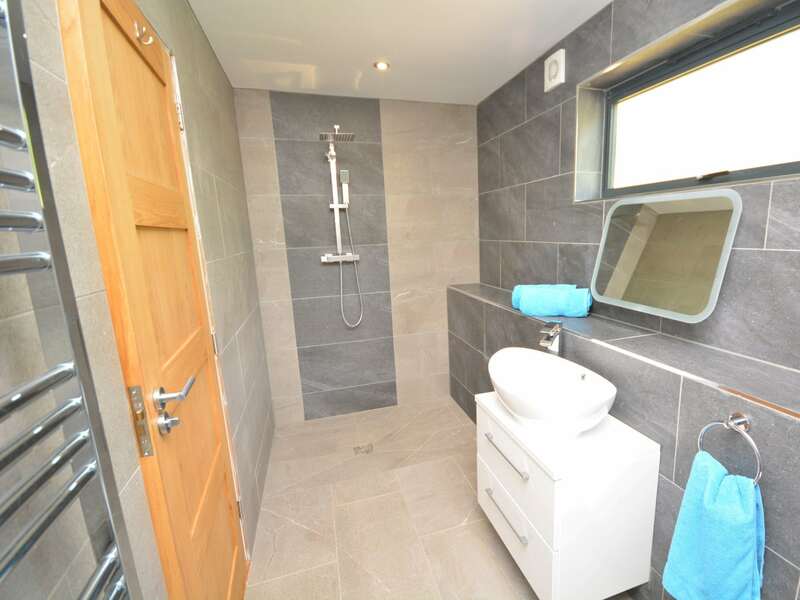 The utility room has a washing machine and tumble dryer and ample space for coats walking boots or dog baskets. 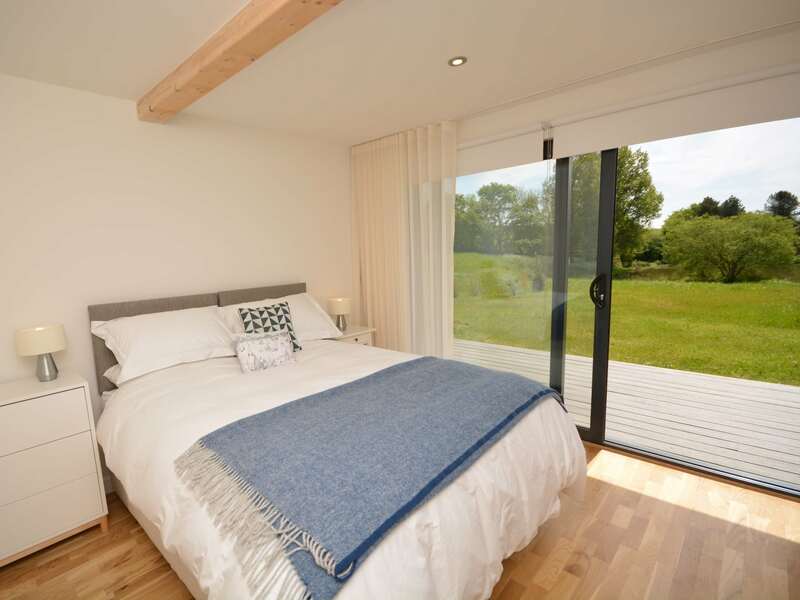 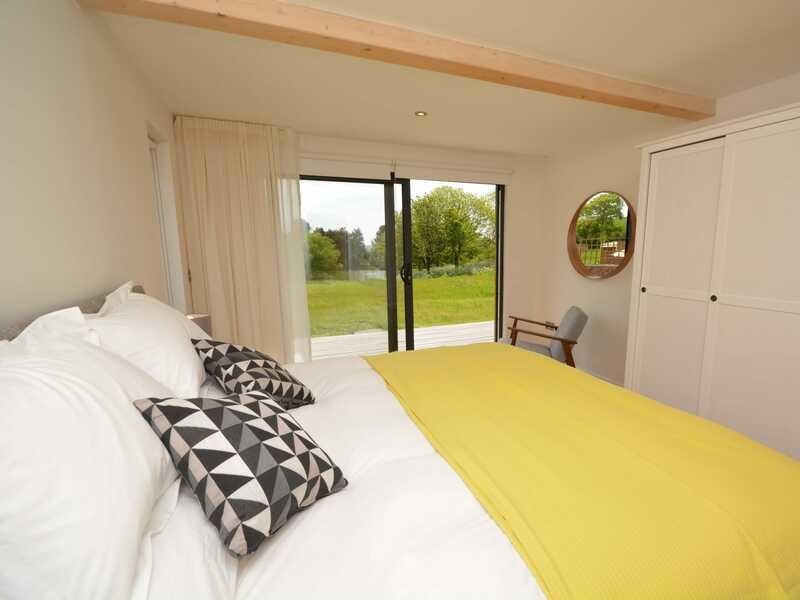 Two of the bedrooms are spacious and have zip-and-link super-king-size beds the third bedroom is a king-size and all the bedrooms have sliding doors leading out to the decking. 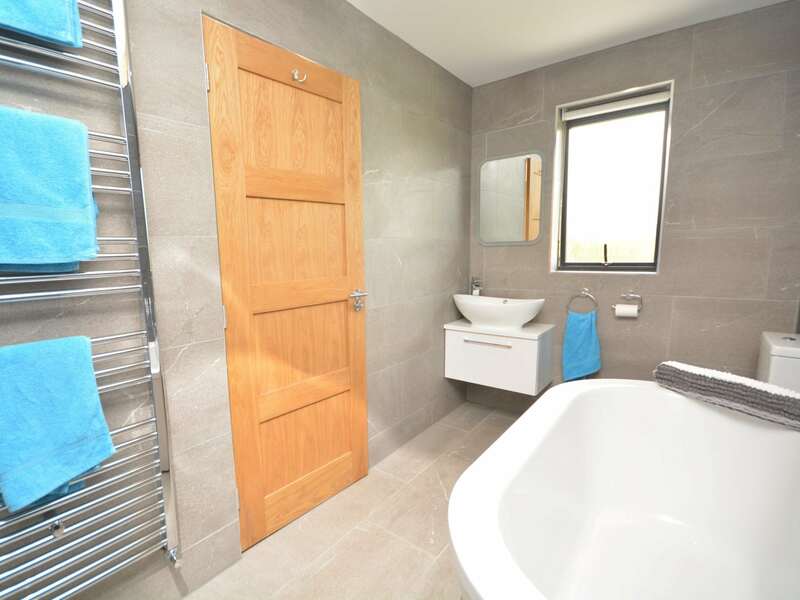 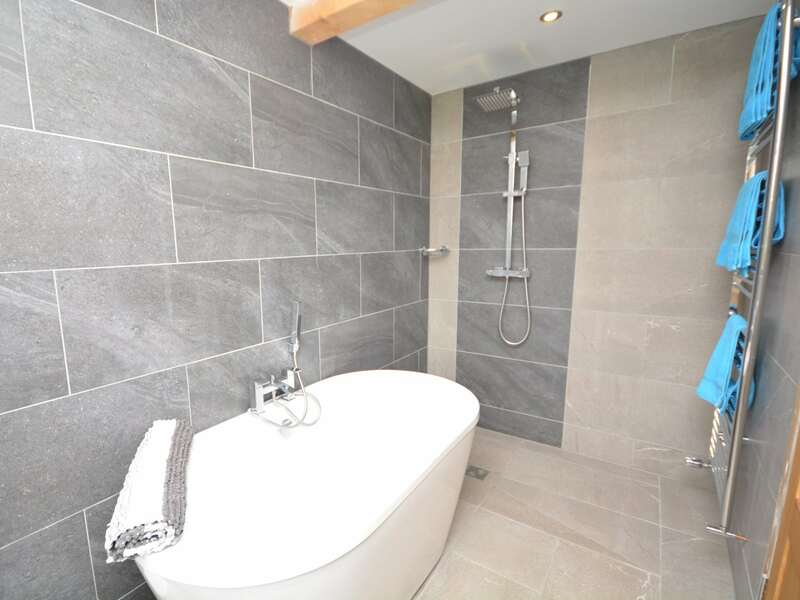 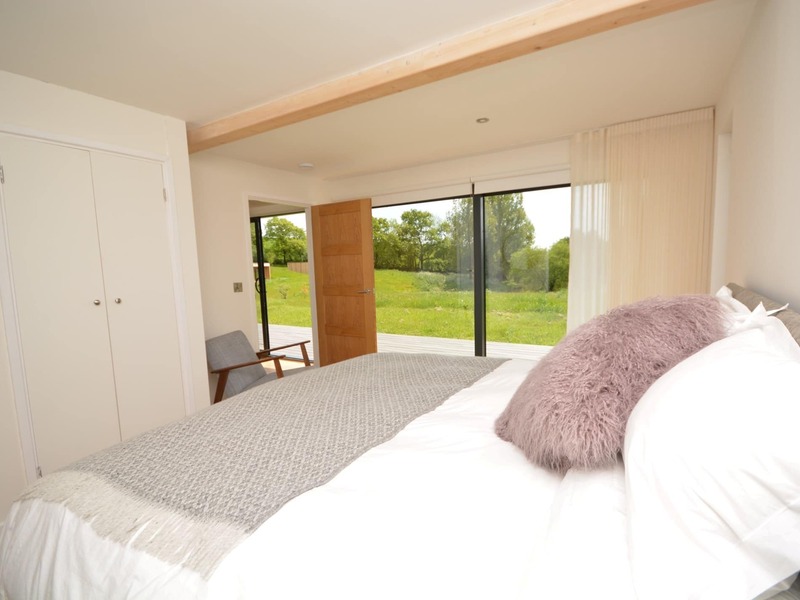 Each bedroom also has its own stylish en-suite two of the bedrooms have a free standing contemporary bath and wet room shower and WC and one bedroom has a wet room shower & WC. 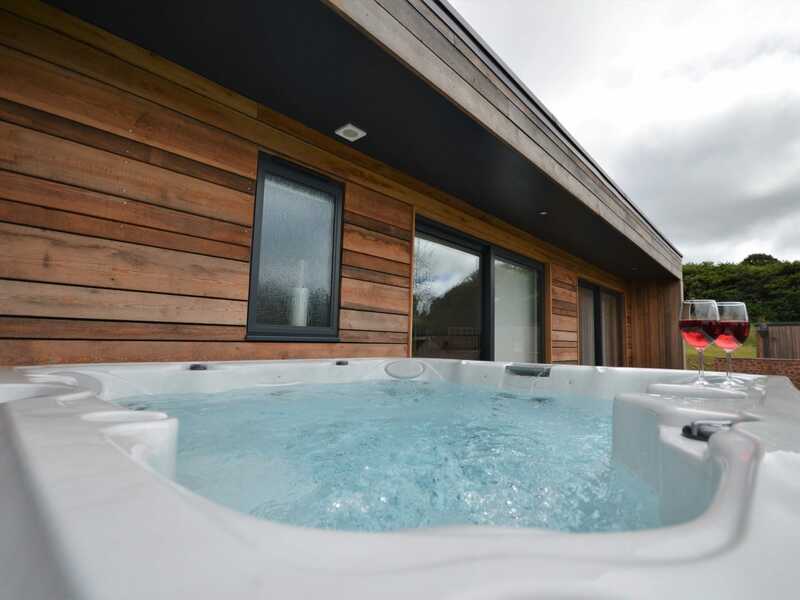 Heading outside is a decked area and patio with garden furniture and a private hot-tub. 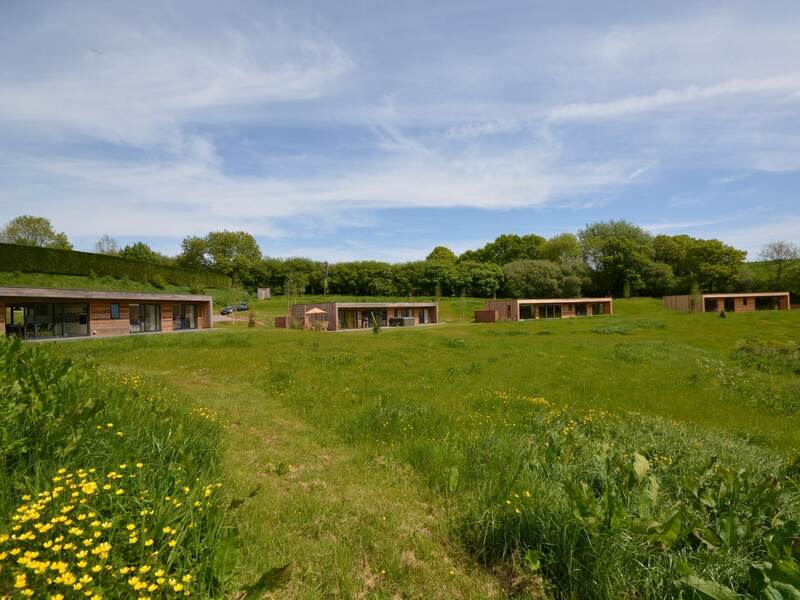 Ample off-road parking for two cars.